Great day in Denmark today. Playoff day and Stars 'n Stripes came to play. 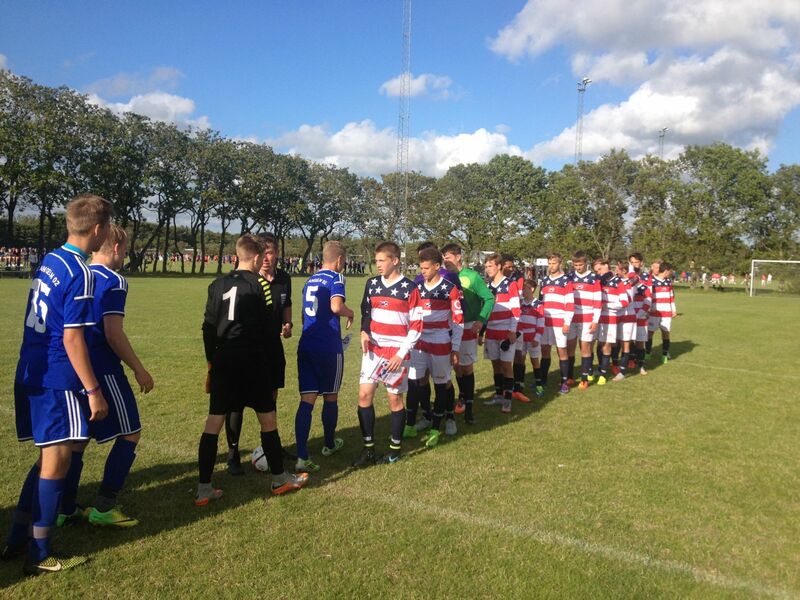 Boys go first as they play a Swedish team and play to a 0-0 draw. We were the better team and just not enough creativity in the attacking 3rd. So in Dana Cup, after ties, we go right to Penalty Kicks and if any of you are familiar with Stars 'n Stripes history, we don't do well in Pks. Patrick Hillyard in goal and we win 4-2, advance to next round. Girls at game and sing and chant like crazy, kids really getting into it now. Girls game next and we play a Danish team and are far better. Only win 2-0 but we dominate with goals from Sophia (Danish Guest player) and Abby Alfaro(Ghetto). Girls finding groove as well as it just takes some time. Girls rush to boys 2nd game and arrive after halftime with game tied 0-0. Boys are playing a German team and they are very good. With about 10 minutes to go the Germans attack down the flank and score a nice goal but with only 2 minutes left, Johnny Sehloff ties it up and guess what, we head to Pks once again. Go figure. Patrick Hillyard in goal and we win 4-2 once again. Bad news is we miss dinner so kids go and eat on own and they don't mind. 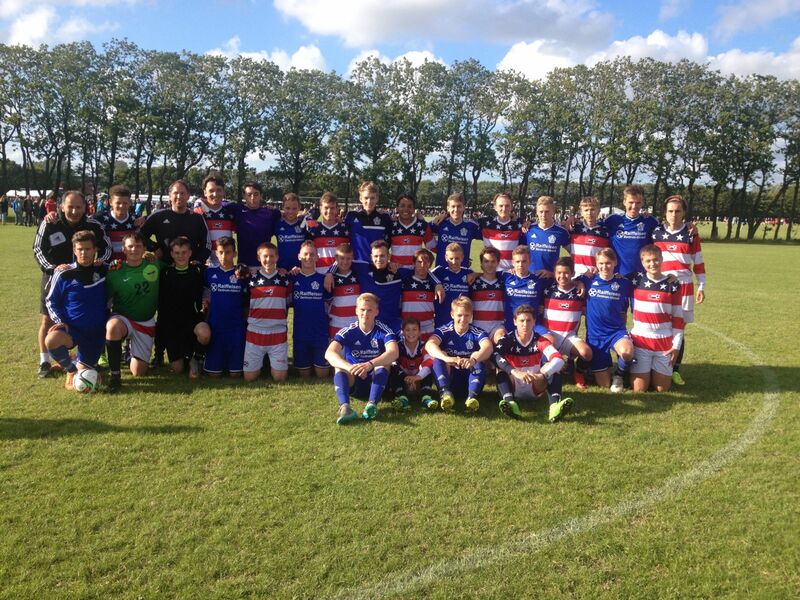 With such a good day, we allow the kids to go to the Dana Cup Disco for about 90 minutes, nice fun. Both teams now advance to 1/4 finals, great stuff so far. Dana Cup is held in small town called Hjorring, population under 10,000 and about 20,000 kids are here so you can imagine the event. Gothia Cup is in Gothenburg, population about 800,000. 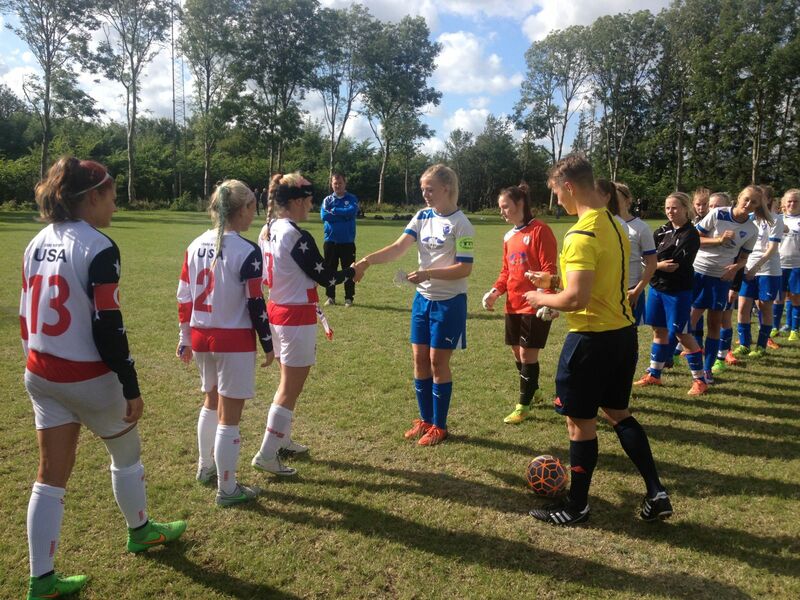 Germany, Sweden, Norway, Denmark, Tanzania, USA, and we have referees and coaches from all over the world. Dana Cup has a pub located in the center of the fields where the coaches and referees interact, etc. Its awesome to hear different tactics, referee decisions, future ideas, networking, etc. Some great times. We just got invited to Paris for the Paris Cup and also to East Africa so interesting years ahead for Stars 'n Stripes. Wish us luck tomorrow and pray for warmer weather, it was cold today.